Yesterday, BitTorrent announced that the release of BitTorrent Sync for iOS was imminent, and having passed Apple’s moderation process (despite the negativity attached to being a founding father of a peer-to-peer file sharing protocol), it is now ready for prime time use. As you would perhaps expect, it is completely free to download, and you’ll find all of the relevant details, as well as the all-conquering download link, right after the fold! BitTorrent Sync goes against the grain in light of the growing number of cloud-based services, instead allowing files to be shared between devices with relative ease. 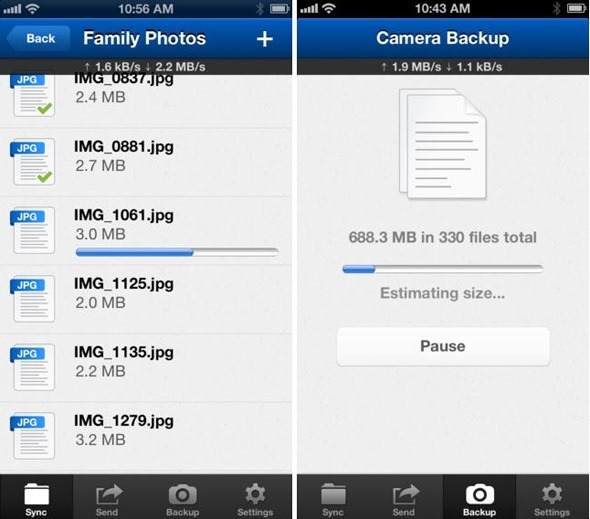 The beta version of the app for Android only recently hit the Google Play Store, and while since file sharing is not in Apple’s vocabulary, a release for iOS was always going to be welcomed by consumers. 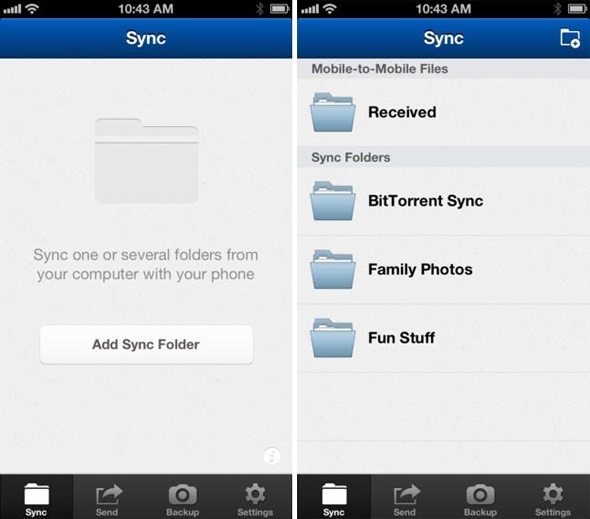 The user interface of the iOS version, as with its Android counterpart, is fairly simplistic, but if you’re looking for a reliable, does-what-it-says-on-the-box kind of app, BitTorrent Sync is exactly that. You can readily sync all manner of files between your computers and devices, and unlike other such services, there’s no hidden cap on how large a file you’re allowed to transfer, allowing you to enjoy the complete file-sharing freedom associated with BitTorrent. Although BitTorrent cites server issues as one frailty of cloud-based backups, there’s also that major privacy concern as well, and with some apprehensive about sending all of their private documents and such straight to the likes of Google, Microsoft, Dropbox or Apple, BitTorrent Sync allows you to keep all of your personal files exactly that – personal. The app has just made its way to the iOS App Store, and having given it a brief run out on our iPhone and iPod touch, we can confirm that it works as advertised, and plays well considering this is the very first release. If you happen to give it a try for yourself – something we highly recommend – be sure to voice your own opinions by dropping a comment via the usual mediums below!